MLS club Minnesota United had two big annoucements on Sunday. Along with their signing of former Arsenal and Sunderland goalie Vito Mannone, The Loons dropped their 2019 adidas away jersey. Called the Drift Kit after the wintertime snow drifts of the team’s home state, the club describes the design inspiration of the mainly white kit below. Fans in Minnesota got their first taste of MLS soccer in the driving wind and snow, and the Drift jersey evokes how snow drifts and accumulates here in the frozen North. It serves as a reminder that even though we play most of our games in summer, there’s ice in our veins. We carry it with us. Whatever the elements or the game throws at us, we’re ready. Minnesota United’s 2019 alternate kit features a new v-neck soccer jersey design from MLS outfitted adidas. It is accented via ice blue adidas stripes on its flanks and collar and sleeve cuff trim in the same color. 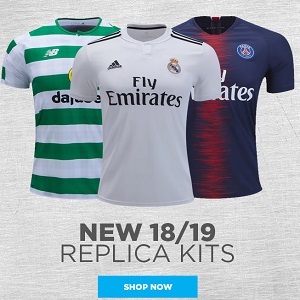 World Soccer Shop, Kitbag, Pro:Direct Soccer and UK Soccer Shop will all carry the Minnesota United 2019 adidas Drift kit.